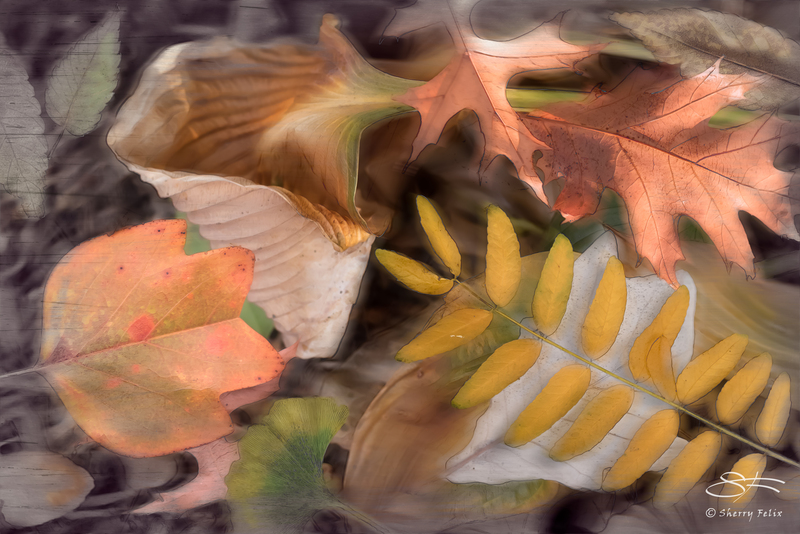 To capture leaves on windy Fall day I created a composite of 9 images in Photoshop. I added soft streaks – like the wind and some blur. Created in Photoshop. NIKON D750, f-stop f/3.5, exposure time 1/125 sec. ISO 100, focal length 50mm, and max aperture 1.6. I prefer the second one slightly and it really conveys a great sense of movement. I do not like this as much as many of your others. It feels shaky to me and I know that you’re trying to capture the wind, but it does’t work for me.